When creating a professional resume outline, it is extremely important to have a section to include your education. At one point in time, many job seekers were able to get their foot in the door in companies and didn’t necessarily need a degree. In today’s competitive job market, it is nearly impossible to get an entry-level job without at least a bachelor’s degree. As time goes on, job seekers will be expected to have even higher levels of education to qualify for roles. In this article, we will detail why it is important to include a section for your education in your professional resume outline. 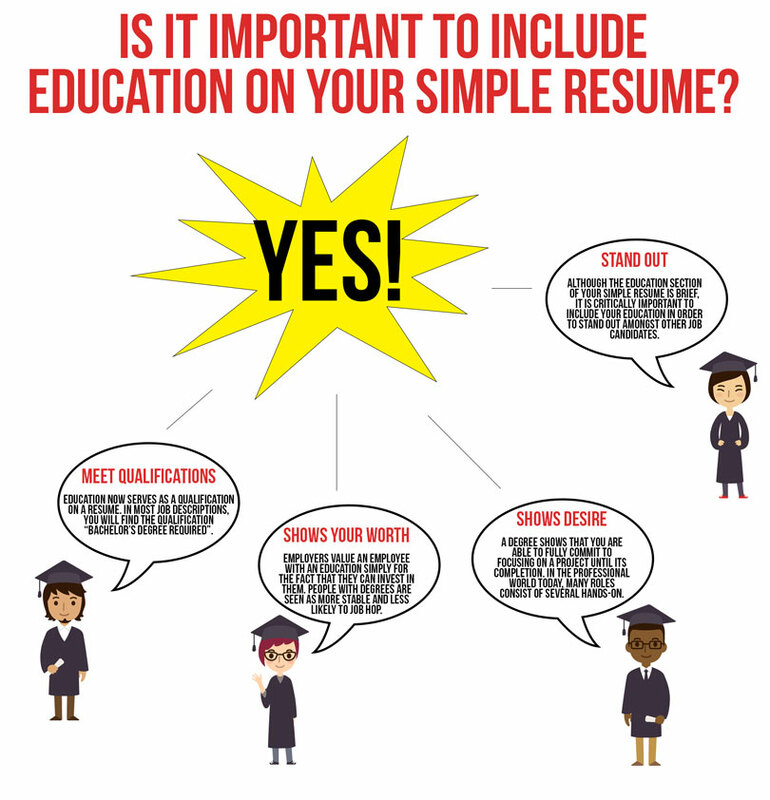 Education now serves as a qualification on a simple resume. In most job descriptions, you will find the qualification “bachelor’s degree required”. Most of these same jobs at one point only required candidates to have a high school diploma to be considered for employment. There is a general consensus that people with degrees have developed more skills and are more mature than people with only high school diplomas. Therefore, it is a must to include your educational background within your simple resume layout to meet qualifications. Employers value an employee with an education simply for the fact that they can invest in them. People with degrees are seen as more stable and less likely to job hop. With an educated employee, they are also most likely to advance in their respective roles. Many companies do not allow employees without a degree to advance into higher-level management or executive roles. A degree shows that you are able to fully commit to focusing on a project until its completion. In the professional world today, many roles consist of several hands-on projects that can take months or years to complete. In order to complete a four-year undergraduate program or two-year graduate program, you must have the desire to succeed. To employers, this shows focus and the ability to commit. Although the education section within your professional resume outline is kept brief, it is critically important to include it in order to stand out amongst other job candidates. In accordance with this, there is an extremely good chance that you will stick out the more advanced your degree is in comparison with other applicants. In terms of setting yourself apart from the competition, it will come most handy if your education and skills align with the field which you are pursuing.